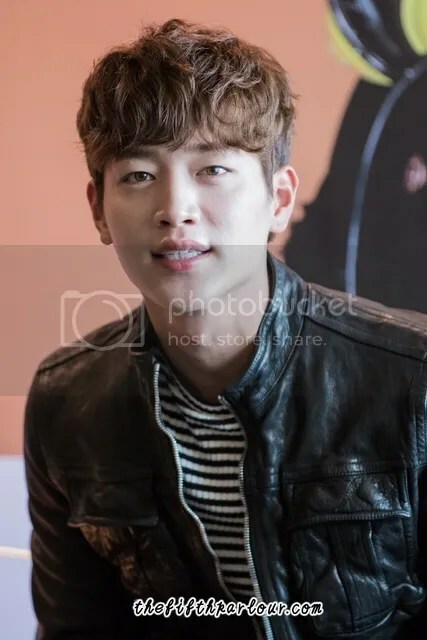 On February 19, the star of popular tv drama Cheese in the Trap, Seo Kang Jun, met with the media for an exclusive press conference prior to a public meet and greet session that was held later in the evening. Decked in casual wear – similar to that of his on-screen character Baek In Ho, the 23-year old rising actor shared his thoughts on his latest hit project and talks about his personality off-screen. Due to the immense popularity of the webtoon series the drama is based on, high expectations were set by the public for the drama production. The ongoing webtoon resonates with the typical campus life of a Korea student and has a wide fanbase of readers. Seo confessed that he initially felt pressurized by the views of the masses when news of his casting was announced. However, he decided to take the opportunity to challenge himself as an actor and break the label people had of him. He shared, “I took on the challenge and worked really hard to study the character. I had several consultations with my director and I soon became confident with my role and felt satisfied with myself”. Seo added that upon studying his character, he was drawn by the charm of Baek In Ho – a person whom is genuine and caring in a very subtle manner. In contrast to the loud and fearless In Ho, Seo shared that he has an introvert and apprehensive personality off-screen. 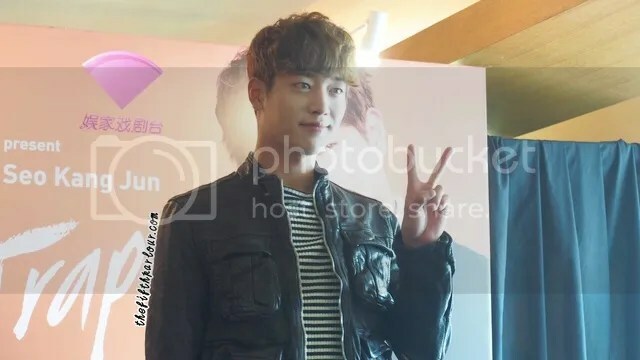 When asked if there were times when he subconsciously acted like In Ho, he revealed that his fellow members from his group, 5urprise noticed that he has been swearing (mildly) like his on-screen character lately. In fact, this “habit”, coupled with the fact that he looks more mature than his age, was what bonded him with fellow co-star, Park Hae Jin. Despite Park being 10 years older than him, the duo displayed great chemistry working together – evident from stills of the drama production. He shared, “We have become really good friends actually. It was easy working with him and I really enjoyed the experience”. If given the chance to try the role of other characters from the drama, he shared that he would like to act as Eun Taek (played by Nam Joo Hyuk). He added “Eun Taek is a very cute and sincere character. His love for Bora is very pure. If I am a girl, I would like to have someone like him”. The actor also revealed his preference for cheese and cited cheese that one could find in convenience store such as Pizza Cheese and String Cheese to be his favourite type. Through the drama, Seo surprised the viewers with his ability to play the role of Baek In Ho skilfully and gained more recognition as an actor. When quizzed on what other roles he would like to try, Seo shared that he would like to try the role as a vampire as he often receives suggestions to be one because of his fair skin. Moving forward, he would like to take on as many different roles as he can in his acting career and continue improving himself. While there are still no concrete upcoming projects for him, he added that he will continue to see his fans around Asia for events from time to time. Cheese in the Trap is currently airing on VV Drama (StarHub TV Channel 855)娱家戏剧台（星和视界第855频道）every Sunday at 10pm. Be sure to catch it then! 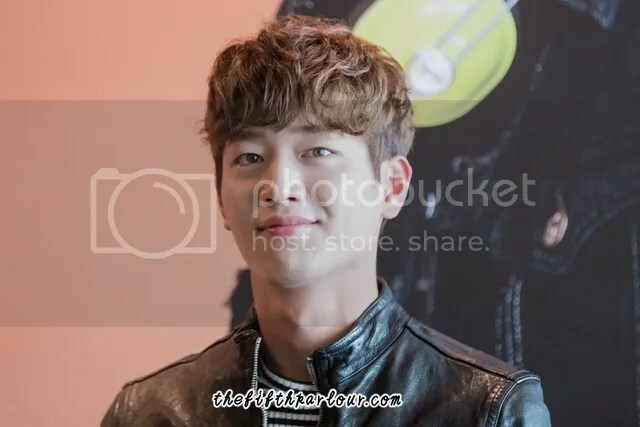 Special thanks to Starhub for giving The Fifth Parlour the opportunity to cover Seo Kang Jun [Star of Cheese in The Trap] Event Press Conference!